TckTckTck Partners, Greenpeace and the 350.org staged an underwater tableau to highlight the urgent need for action against Climate Change, as the second week of the COP16 conference got underway. 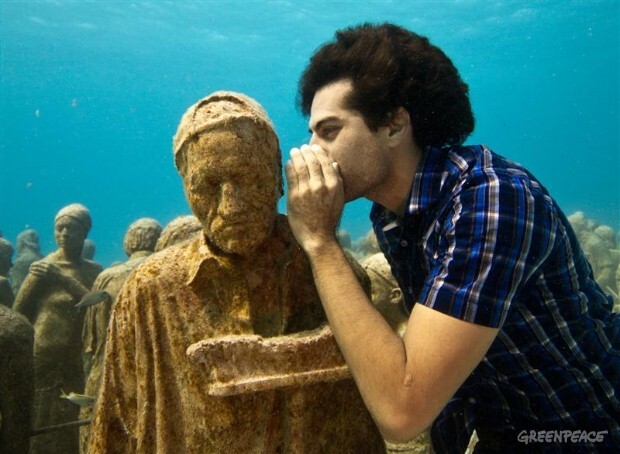 Brady Bradshaw from Greenpeace, warned "100 million people or more are threatened by sea-level rise, and governments meeting here in Cancun must make the right choices to protect the climate and protect ourselves." To see the whole gallery by Greenpeace, follow this link.